I couldn't let a week's worth of Mother's Day brunch recipes end without at least one recipe for pancakes or French toast. So today I present you with a compilation of scrumptious hot cake, pancake, griddle cake, flap jack, and French toasts recipes from around the blogosphere. Enjoy! Perfect round-up! I'm seriously addicted to breakfast breads of all varieties (go figure), so this compilation is like finding a little slice of heaven. 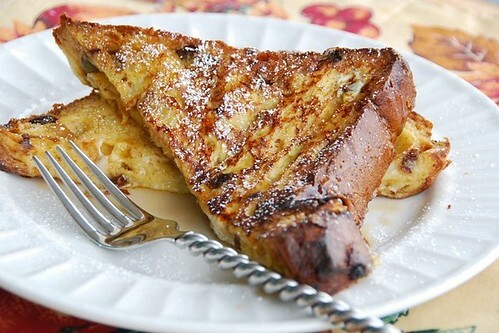 Thanks also for including the Lime French Toast recipe in your list. It's a keeper. Happy 2009 Mother's Day to mothers everywhere! Thanks for all those delightful links. Unfortunately, I'll have to look at them in detail later as I'll be leaving tomorrow morningon a short break. Hey there! Thanks for linking my Cinnamon Swirl French Toast. I agree, it would be a great Mother's Day breakfast. Wonderful ideas! Everything looks ever so scrumptious! I would love to have those pancakes with the beries. If Brad saw this roundup he'd eat the screen. His favorite things in the WORLD are pancakes. 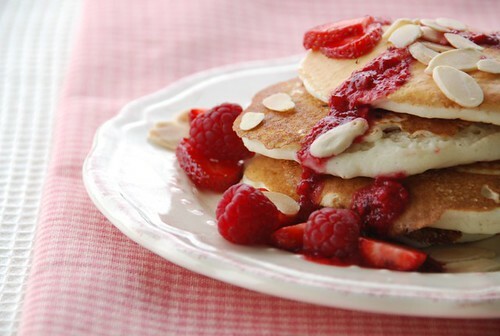 I'll have to try some of these with more blueberry syrup! We have deferred Mother's Day brunch for a few days so everyone can attend - now I have a few more days to get hungry as I look at these delicious links! Mother's Day was a couple of months ago over here but, hell, I don't care. Shall make my Mum one of these next time she visits! Those pancakes look killer. I know, I'm too late for Mother's Day, but here's a suggestion for next year... or next weekend :) - Dutch babies. I love having left over pannatone - its been a tradition in our family to make french toast with it! MMM its making me drool. Great breakfast recipes!